An invaluable guide to renku composition with renku master, Kris Moon Kondo. Al and Donna join guest poets Henry Brann, Robin Palley, Penny Harter to write the collaborative poetic form Renku. 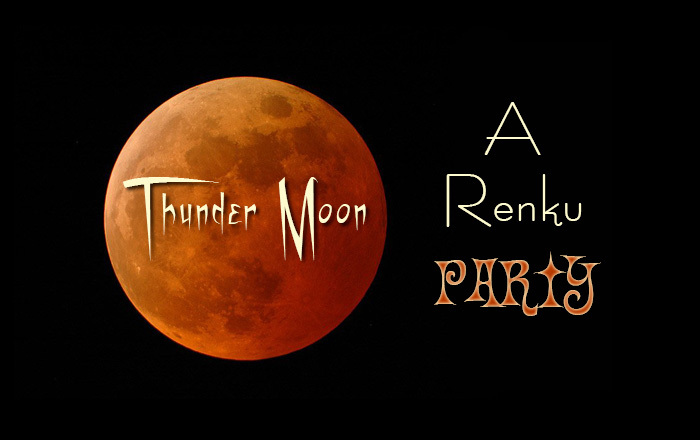 Read the final Kasen Renku (36 stanzas) by the poets, "THUNDER MOON"